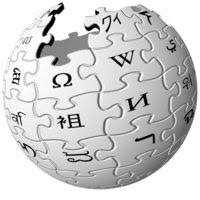 Wikipedia has approximately 7.8 million articles in 253 languages, 1.884 million of which are in the English edition.This makes it the largest, most extensive, and fastest growing encyclopedia ever compiled. It has been written collaboratively by volunteers around the world and the vast majority of its articles can be edited by anyone with access to the Internet.Steadily rising in popularity since its inception,it currently ranks among the top ten most-visited websites worldwide. Wikipedia receives between 10,000 and 30,000 page requests per second, depending on time of day.More than 100 servers have been set up to handle the traffic.The operation of Wikipedia depends on MediaWiki, a custom-made, free and open source wiki software platform written in PHP and built upon the MySQL database. The software incorporates modern programming features, such as a macro language, variables, a transclusion system for templates, and URL redirection. MediaWiki is licensed under the GNU General Public License and used by all Wikimedia projects, as well as many other wiki projects.